Our customer service specialists can answer your product questions, help you with your order, or even connect you with a member of our writing team! Consistently ranked highly by our customers and often asked for by name, our customer service specialists are available by phone or email. Visit our FAQ for common questions. We are available Monday through Friday, between 8AM and 5PM CST. Call us at 1(800)340-­8103 during the hours listed above. Use the form below to email us, and we will get back to you as soon as possible. It's easy to order our curriculum kits, and we offer a few buying options. You can order our kits as a one time purchase, or you can sign up to automatically receive new kits when they are assembled. You may order just one month of Fireflies® or one 2-Month Buttercups® kit. You will be billed once and there is no further obligation. With our prepayment plan, you order as many kits as you like. You pay upfront, and then the kits are mailed to you each month. This ensures the kits reach you each month as regular lesson plans for your classroom. By paying up front, you qualify for a discount on the overall order. Our prepayment plan is an arrangement to receive our curriculum for three or more consecutive months. Discounts of 10% to 15% apply to the Fireflies monthly price, not including shipping charges. The activity kits will be shipped automatically each month to reach you by the 15th for use in your classroom. A 10% discount will be applied to prepayment of 5 or more Buttercups® activity kits. Buttercups® activity kits will be shipped automatically to reach your classroom by the 15th. Prepayment terms, such as the number of children and number of months, can be adjusted at anytime. To avoid additional charges, changes or cancellations to your order must be made prior to the 19th of the month preceding shipment. For example, changes to a September kit must be made by July 19th. Call and we will update and adjust your account accordingly. Under this plan, you are billed for the selected curriculum kits and shipping each month. This ensures the kits reach you each month as regular lesson plans for your classroom. The discount from the prepayment plan does not apply to the Pay As You Go Plan. A credit or debit card is required when choosing this option. Credit or debit cards are automatically charged on your preferred date, between the 1st and the 20th of each preceding month. For example, September Fireflies® kits are charged between August 1st and 20th. Since Buttercups® is a 2-Month kit, payments are processed every other month. You can adjust your order details at any time, such as number of children and number of months. To avoid additional charges, changes or cancellations to your order must be made prior to the charge/ship date. For example, changes to a September kit that is set up to charge on August 5th must be made by August 4th. Call 1-800-340-8103 and we will update and adjust your account accordingly. Each month you will receive an email reminder 5 days prior to your credit card being charged. Once your Single, Prepaid, or Automatic Shipment order has been processed, you will not be able to decrease the number of children you are ordering for. If you need to add to your kit after your order is shipped, there is a $10.00 charge per child, plus shipping. If you live in North Dakota only, a 5% sales tax will be added to your order. We approve all orders before they are processed. If you add a coupon to your cart that has been previously used or does not qualify for your order, a representative will contact you with a correct order total before we place your order. When paying by this method, please indicate which month you are ordering, either on the check or money order. There will be a $30.00 fee assessed on all returned checks. Purchase Orders (PO) are accepted from larger centers, Head Starts, and schools that use assigned purchase order numbers. Subject to approval. All PO’s must include a PO number, contact name, daytime phone number, shipping address, billing address and have an authorized signature. Must be faxed or emailed when the order is placed. All terms are net 30 days. PO's must have a minimum purchase of $100.00. Orders are not shipped unless paid in full, with the exception of authorized purchase orders. Orders are processed and shipped within 2 business days, subject to availability. Average shipping time is 3-5 business days, depending on your location. Your order will be shipped via FedEx or U.S. Mail. All shipments originate from our warehouse in Dickinson, ND. Additional charges will be assessed for a refused order, non-deliverable, or change of address once the order has been shipped. APO and FPO addresses are assessed an additional $5.00 shipping and handling charge per shipment. Alaska and Hawaii addresses will be assessed an additional $15 shipping charge. All orders are shipped standard. Fireflies® activity kits are shipped monthly and Buttercups® activity kits are shipped every other month, approximately three weeks in advance of use. This varies depending on when payment is received and if you are a Prepay or Automatic Shipping customer. Please call before 2:00 pm CST for Next Day Air, 2nd Day Air, and 3-Day Select FedEx services. Additional charges will apply. Each Fireflies® and Buttercups® kit contains pre-packaged materials in clear, plastic, re-sealable bags. Each packet is individually labeled and cross-referenced with page numbers from the Curriculum Guide. We strive to maintain high standards of quality. We try to package delicate art materials to prevent them from being damaged or crushed in the boxes during shipment, and many of the materials included in each kit are hand-counted. We ask you to assist us by inspecting your order as soon as you receive it. If items have been damaged or are missing, please contact us immediately. We will replace and ship the materials as soon as possible. All claims for shortages or damaged merchandise must be made within 10 days of receipt. Additional shipping charges will apply to orders being shipped out of the United States. You can request a shipping quote by contacting us with your desired order and location. FunShine Online digital curriculum is the best option, as nothing needs to be shipped to you! All credit card transactions are charged in USD. It is our guarantee that you will be completely satisfied with our program and educational supplies. However, if you are not, you may return the item(s) in unused condition within 10 days of receipt. You are responsible for all shipping and handling charges on returns. Personalized items, opened CD's, and clearance kits cannot be returned. Once your return is received and inspected (usually within 72 hours of receipt), your refund will be processed and a credit will be automatically applied to your credit card or original method of payment within 7 days. Please note that, depending on your credit card company, it may take an additional 2-10 business days after your credit is applied for it to post to your account. Call our Customer Service Department at 1.800.340.8103 to obtain a Return Authorization Number. Print this number on the outside of your package. No credit will be issued for packages received Postage Due. Additional charges will be assessed for a refused order, non-deliverable, or change of address once the order has been shipped. The FunShine Express® curriculum is satisfaction guaranteed. Prepayment or Automatic Shipping customers can cancel at any time. To avoid additional charges, cancellations to your order must be made prior to shipment. Are you a part of a local child care association? Refer your friends to FunShine Express® and earn certificates! 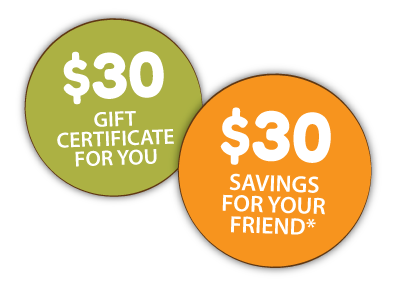 For each friend you refer as a new customer that orders a Fireflies or Buttercups kit and provides your name as a referral, you will earn a $30 certificate to be used toward curriculum or supplies. Plus your friend saves $30 off their first kit!